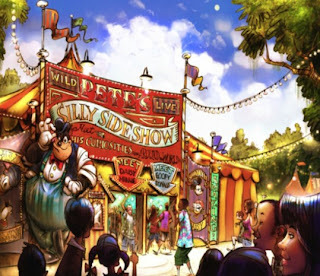 DisneyParks Blog has just posted concept art of Pet's Silly Sideshow, the new meet and greet area for Storybook Circus in New Fantasyland. Taking residence in one of the three tents featured in the area, this new character area looks to be as well themed and visually exciting as the rest of Storybook Circus. 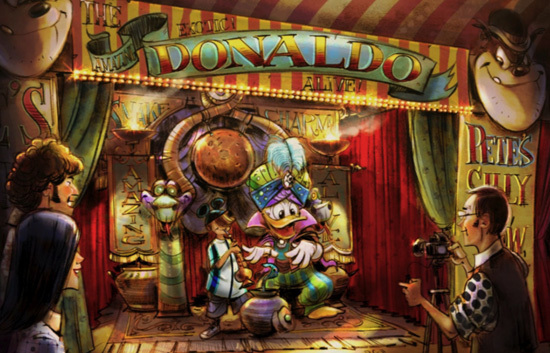 Especially exciting are the unique character costumes featured, with Donald and Daisy's being standouts. 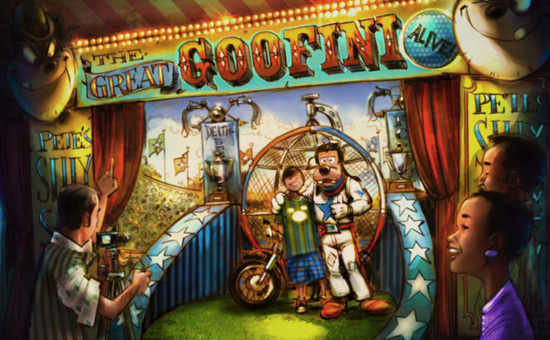 I'm not quite sold on the Evel Knievel style outfit for Goofy, however, as it seems too modern compared to the rest of the cast. 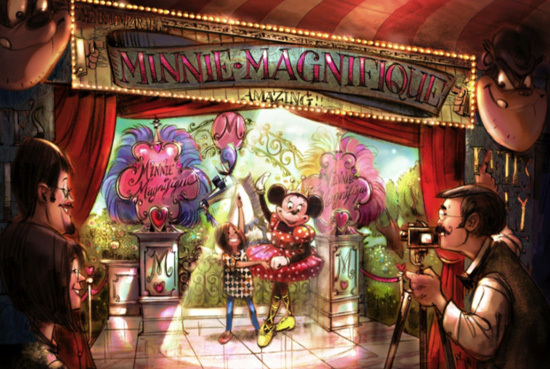 Also, it appears Mickey Mouse will continue to only appear in the Town Square Theater, and will not have a presence in the big top. 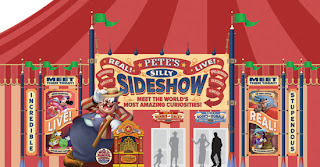 Unfortunately, this does put an end to the rumors that this meet and greet might feature rarely seen Disney park characters. 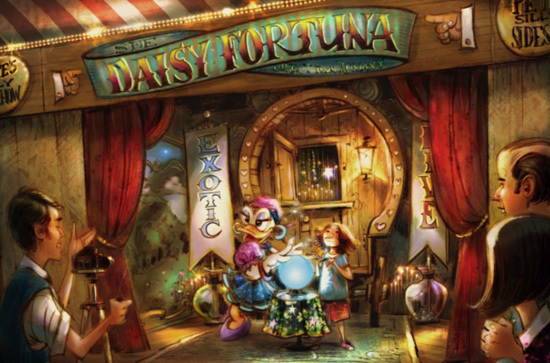 Concept art can be viewed below, as well as two more circus inspired posters to be displayed in the area. I'm hoping that these posters, along with the other excellent ones created so far, will eventually be available for purchase. I know I could find a place in my office for a couple of them.